TÁNAISTE SIMON COVENEY has said TDs offices should not be set up as passport delivery offices, stating that a “small number” of politicians encourage it. As of last summer, TheJournal.ie revealed that TDS and senators had made close to 5,000 representations to the Passport Office on behalf of their constituents seeking passports in the last two years. According to figures released in July, Minister for Justice Charlie Flanagan made the most representations. In 2018, the Passport Office received 163 from the Cabinet minister. Fianna Fáil’s Pat the Cope Gallagher followed, with Minister for Rural and Community Development Michael Ring coming in third. Others who made a large number of representations were Fianna Fáil’s deputy leader Dara Calleary and Fianna Fáil TD Charlie McConalogue. TDs can make representations to the Department of Foreign Affairs and Trade and the Passport Office on behalf of distressed constituents whose passport applications are taking longer than expected. We shouldn’t have TDs offices being set up as passport delivery systems. There are a small number of TDs that encourage that and it is not helpful. He said the Passport Office experienced some “real problems” last year, due to the increase in the number of passport applications in light of Brexit, as well as the office having to close for a period due to extreme weather, which caused a backlog. “Because of that there were a lot of emergency cases that actually came through the political system rather than through the standard process. We tried to facilitate that as best we can, because there is always exceptional circumstances and tragic cases… I think we muddled through okay last year,” he said. 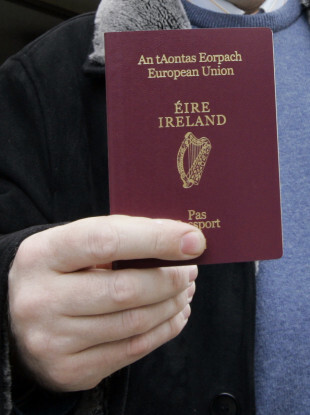 Coveney said it is not quicker for constituents to go through their TD to get a passport. “The only time I think TDs should be involved here is in a special case outside the norm… Any TD can contact my office and say well there is a special case here can the system accommodate getting a turnaround time quicker. Sometimes we have to pull a passport which can delay everyone slightly but we don’t like doing it, but we do it in exceptional circumstances. But that shouldn’t be the norm,” he said. No I wouldn’t go that far. I think TDs are trying to be helpful. Sometimes the passports are being delivered on time anyway but of course families are concerned so they go to their local TD to ensure that it arrives on time, and that is fine. And sometimes TDs make a very genuine intervention when a passport is not going to be delivered in response to an emergency situation or some unusual circumstance and we do have to intervene and we do intervene when it is justified. Coveney said he makes a point of trying to encourage people to go through the system, adding that creating a “kind of secondary system through TDs offices which in some instances slows down the system” and can result in a lot of paperwork. He added that by and large, TDs are simply trying to be helpful, but stated that he gets calls from politicians where their constituents find themselves in an emergency situation. The Tánaiste said the Passport Office is anticipating an increase again in the number of passport applications this year, particularly from Britain. “Clearly if there was a no deal Brexit that could well be a significant figure so we have to anticipate and prepare for that and we are,” he said. Email “Tánaiste says TDs using their offices for passport deliveries is 'unhelpful'”. Feedback on “Tánaiste says TDs using their offices for passport deliveries is 'unhelpful'”.